Paycor's ACA Connect service provides the reports & filing services that companies need to comply with the Affordable Care Act. We also want you to be armed with information on how to respond to the recent fines that the IRS has been sending in response to ACA violations. Learn more about how Paycor can help you navigate the latest updates with the ACA. How We Help Other ACA Resources ACA IRS Filing Guide Got Questions? IRS Filing: Paycor helps you generate and file the 1094-C and 1095-C forms required by the IRS. Employee Forms: Paycor helps prepare and print the 1095-C forms your employees need; we can ship them directly to you, or straight to your employees. Proactive Penalty Alerts: Be proactively alerted for any potential penalties you may be facing for your coverage. Dashboards and Interactive Charts: Utilize interactive charts and dashboards on important trends, like eligibility, within your organization. Benefits Administration: Manage your employee benefits through an online platform that integrates with payroll, time and our ACA IRS Filing service. 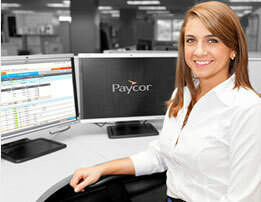 Contact a Paycor representative for more information on our ACA reporting software and ACA compliance solutions. While the individual mandate is going away, the ACA is here to stay. At Paycor, we understand that you're feeling uncertain about how to stay compliant during this period of transition. While change may take place, employers are required to comply with current regulations. With thousands of ACA fines being sent to businesses across the country, we want to provide you resources to help you respond or provide you information to keep you compliant. Paycor's ACA Connect provides comprehensive reports and IRS Filing Service that will give you confidence you're compliant even with all the complexities of ACA. Thousands of fine notifications (Letter 226J) are being sent out for violations to the Affordable Care Act (ACA). Use this checklist to help protect your organization. Looking for a quick and easy guide to learn how your specific organization should handle ACA IRS filing? Paycor has you covered. This is where you'll get answers. From the latest news on the ACA and the changes that might affect you, to printable IRS forms, and an ACA IRS Filing Guide that helps you understand your responsibility, the Resource Center will keep you on top of your game.